Tomorrow we're going to our 2nd Christmas party of the season. 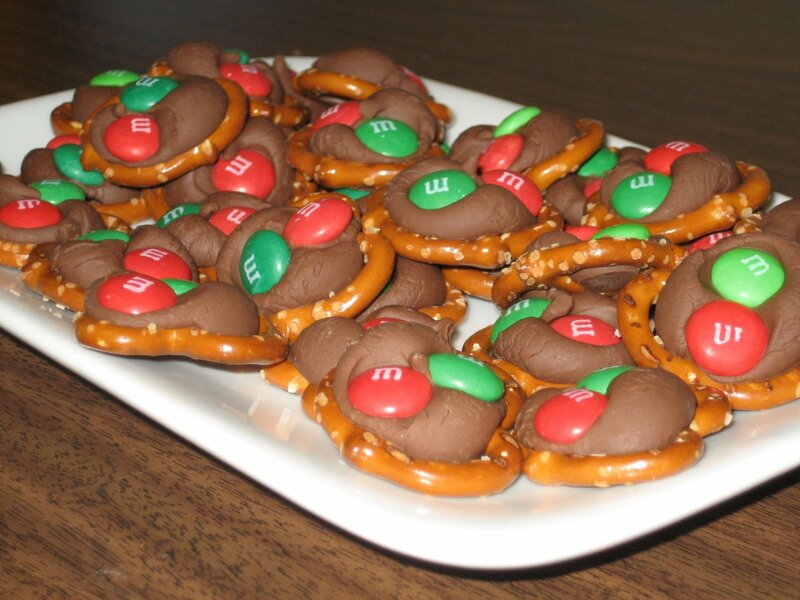 It's the Yuen's annual cookie party and after chatting with the wonderful hostess, decided to bring these fun and super easy not-a-cookie but salty-sweet snack. Again, not an original idea. I first saw it on Becky Higgins blog here, then got an e-newsletter from Family Fun that linked to their website here. It looks much better using the Hugs, but I don't like white chocolate so I used original Hershey Kisses. 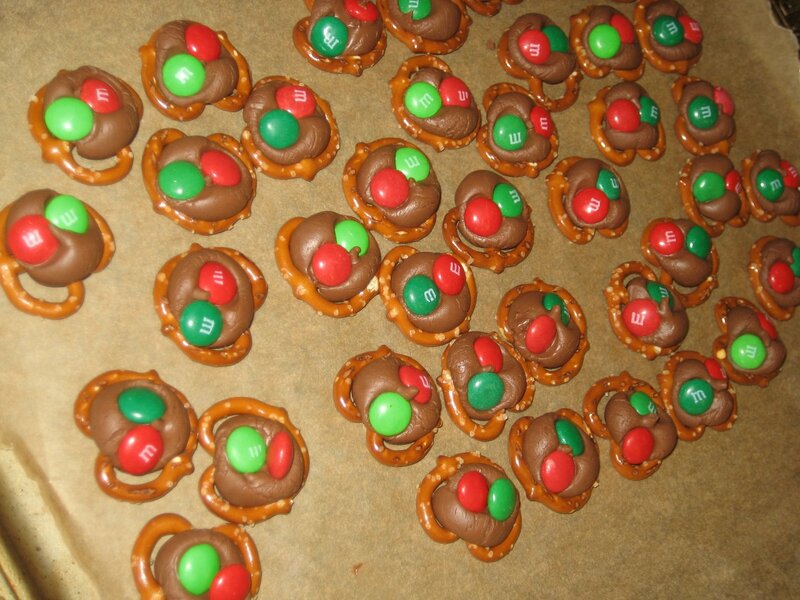 Supplies: Pretzels, Hershey's Kisses (or Hugs), M&M's. 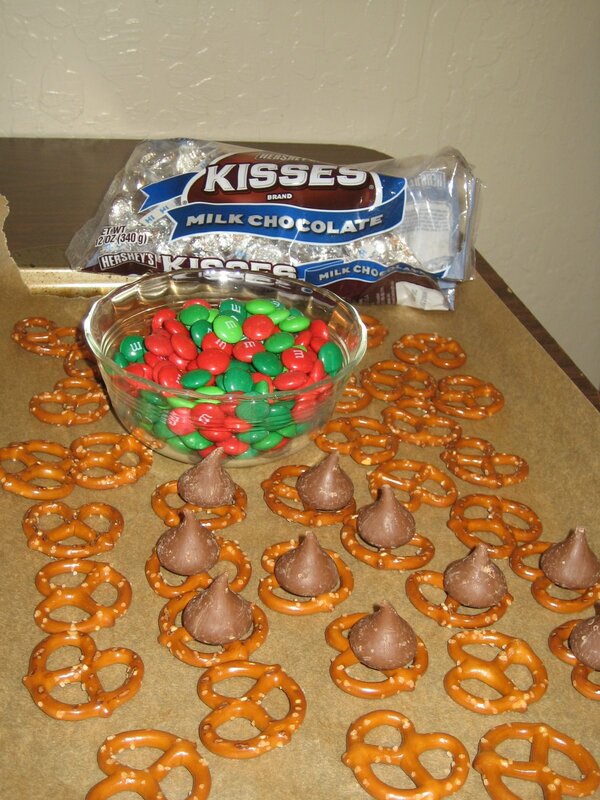 Put a kiss on each pretzel and put in 200 degree oven for 6-8 minutes till chocolate is soft. It'll retain its shape. Remove from oven, smoosh 1-2 M&M's into it and its done. Thanks once again, Mad. I think this looks great for the kids and me to try! Oh wow now your talking, that is simple. and looks so good too. without the visual, it was just a description, but now I gotta make some! yum-mie!! !